Thanks to a demanding clientele including international tourists and weekenders from New York City, Woodstock, NY, has become a gastronomic mecca. 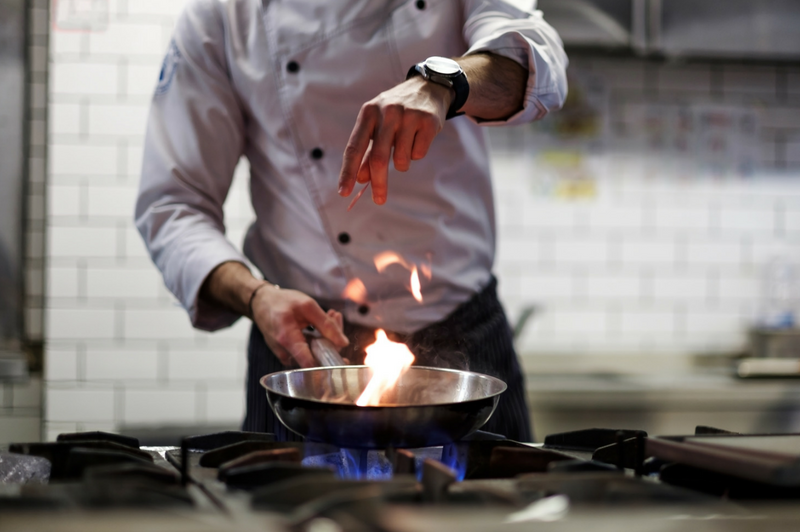 From gourmet Mexican to bistro fare, traditional bar french fries to elegant oysters on the half shell, you can always find a fine dining experience befitting the most seasoned gourmand. 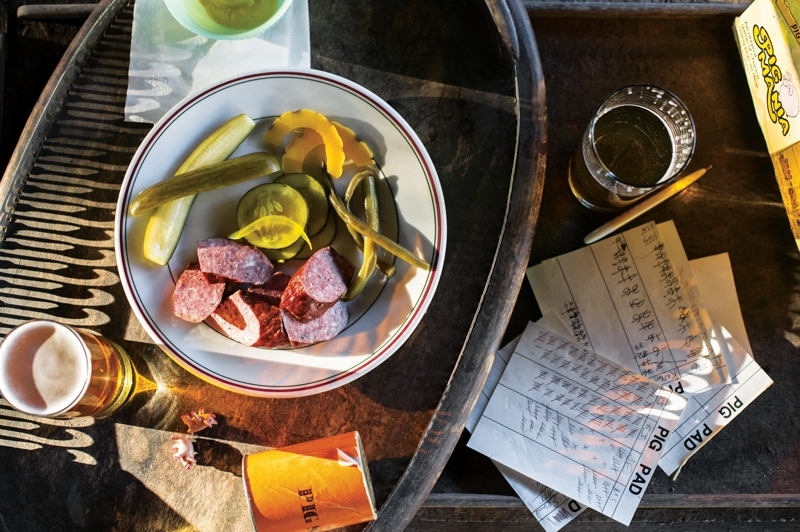 At A&P Bar, the menu features comfort food and artisanal cocktails. Imagine starting out with an A&P Dawa with fresh-pressed apple vodka accompanied by a Scotch egg, followed by shepherd's pie or buttermilk fried chicken paired with a chianti from Siena or Wildekrans from South Africa. Finish your feast in fashion with a hot mulled wine and Nutella flammkuchen with seasonal fruit. Not in the mood for a full dinner? Head over to The Station Bar & Curio, open most nights until 2 AM, where you’ll find eight beers on tap and more than 30 brands in bottles, along with fine wines and vintage cocktail favorites such as Gin Rickey, Caipirinha and Pampleloma. The thoughtfully created bar menu changes often, but you can always count on a hearty soup or stew, a spread such as a seasonal hummus or pâté, and a gourmet grilled cheese with unlikely but perfectly paired ingredients such prosciutto or chicken cordon bleu. 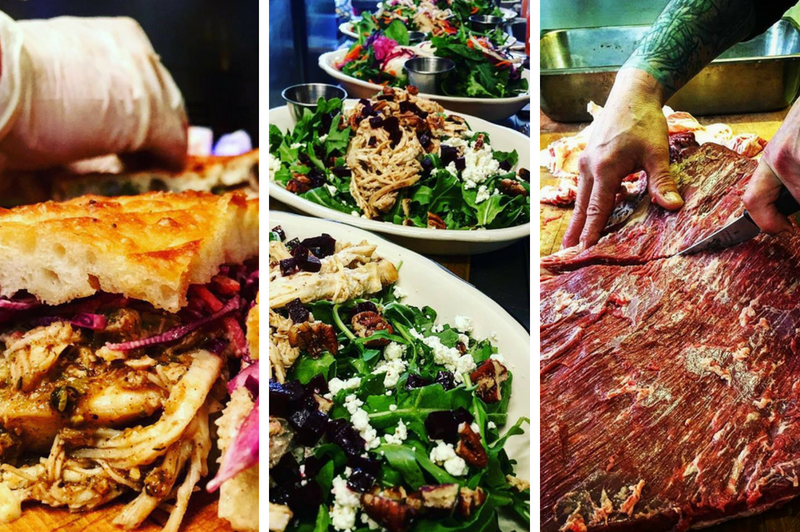 If you love fresh ingredients, creative pairings and Mexican flavors, look no further than Tinker Taco Lab. 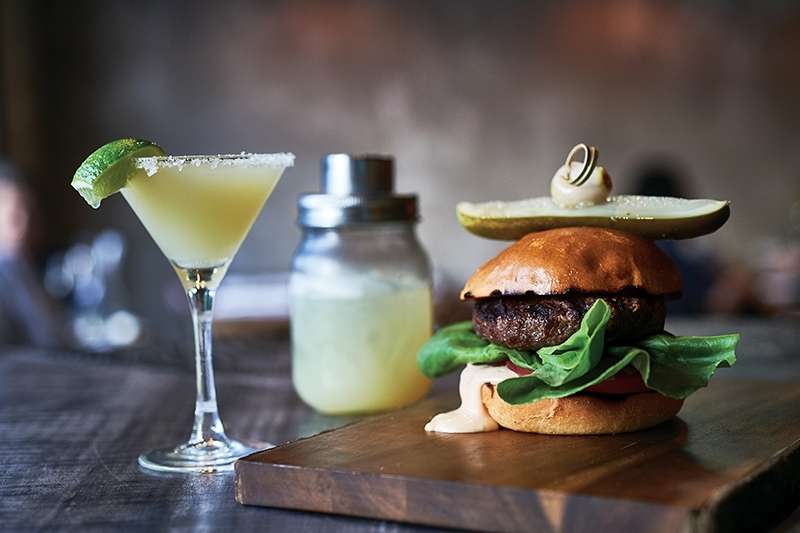 This secluded, streamside spot makes a variety of handmade gourmet tacos and tamales, served up with the area's most delicious margaritas and creative cocktails. Tinker Taco Lab is only open on weekends, from 12 PM to 8 PM, adding to its mystique. Popular with local New York City transplants, travelers and local families alike, it's the perfect place to hang at the bar or bring the kids for a quick bite. 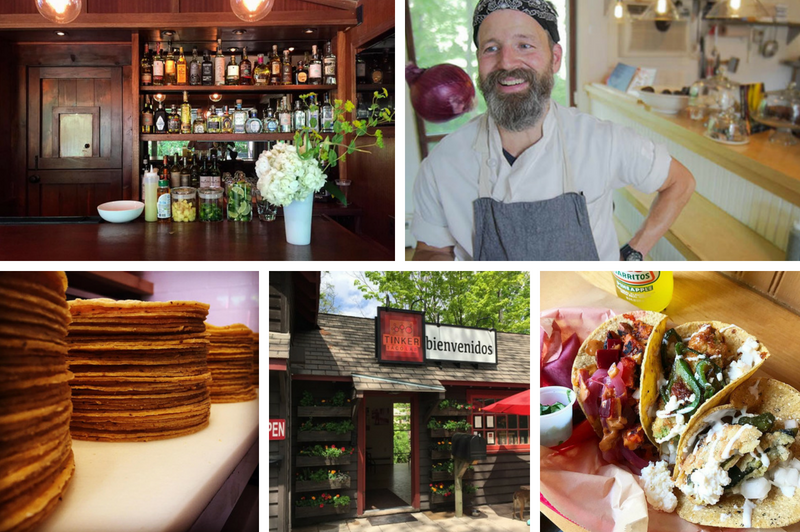 These are four of the many amazing restaurants in Woodstock, NY, as a simple Google search illustrates. So, whether you choose to check out one of the above or another place in town, you'll be glad when you pull up a seat and start a conversation with the locals. Everyone has a story to tell, and some are quite illustrious. Bon appétit, and welcome to the Hudson Valley! Should you decide you want to stay, or come back again, let us know. We'd love to share our passion for 'the most famous small town in the world' — and we can help you find a full-time or weekend home, or a commercial property for you to open your restaurant or other small business.